If u need this dish as Gravy - add 1 1/2 cups coconut milk in Step:4 and let it cook for 7 mins. Saute for atleast 10 mins or till water runs dry. Then add 150 ml water,potato pieces and 1 tsp salt.Mix well for 15 secs and cover with pan lid and pressure cook upto 4 whistle. Open the pressure pan after the pressure is released and saute till water runs dry. Thank you christy! 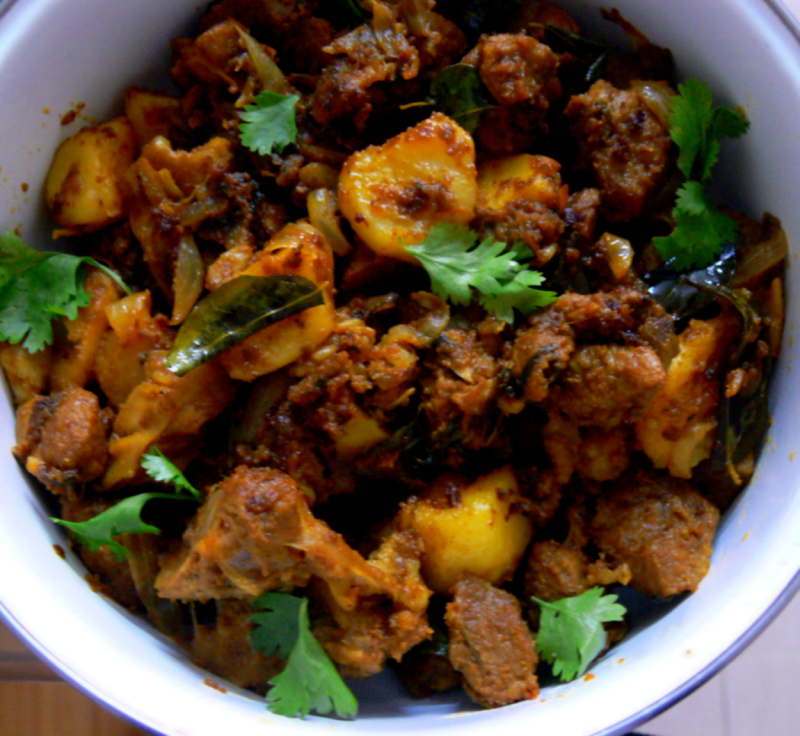 This is nice and simple receipe without much masalas and other ingridients. imple and tasty to eat.